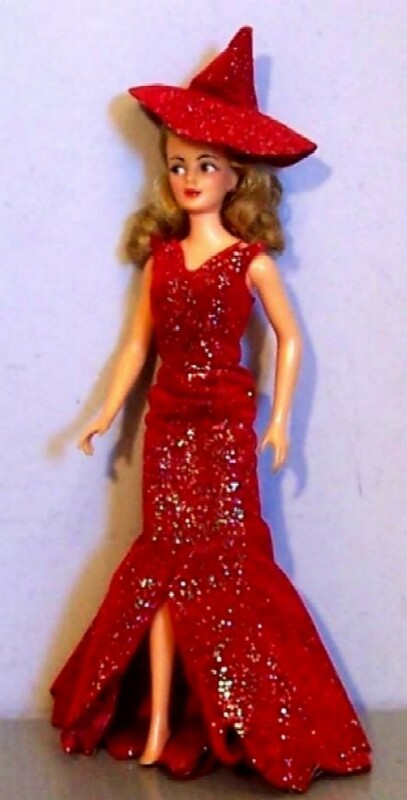 Bewitched Samantha (Elizabeth Montgomery) Vintage Doll. The 1965 Bewitched Samantha doll brought out by Ideal, cost AU$2.95 at the time. Now, you can pay up to thousands for same doll if bought in mint condition and boxed.. Wallpaper and background images in the Elizabeth Montgomery club tagged: elizabeth montgomery bewitched actress samantha doll collectibles photo. This Elizabeth Montgomery photo might contain dinner dress, dinner gown, formal, evening gown, gown, cocktail dress, and sheath. I own one that I bought on Ebay abouit 18 months ago. Cost me over $400 for her fare all the way from the States! and if you ever need someone to look after it for you ,well i'm your gal lol ! No worries, Berni. I know you'd look after Samantha very well!